The Apple Shopping Event has landed, with the Cupertino giant set to offer savings over the Black Friday weekend and into Cyber Monday. In typical Apple fashion, it's doing things a little differently to the rest of the pack - instead of offering discounted rates on its older products, buyers will instead be in line for an Apple Store Gift Card when they buy particular devices. If you're in the market for an Apple Watch Series 3, this means you can pick up a devilish bonus on top of your purchase; Apple is offering a Gift Card of £40 on six models of its last-gen smartwatch. At the lowest price (£279) is the aluminum, GPS Series 3 variant, complete with either a black or white Sport band. However, if you want the benefits of LTE, as well as that nifty Gift Card, you can pay £100 extra and upgrade. Apple is also offering the Nike+ equivalents of these Apple Watch models, meaning you're able to pick up the Series 3 with a different strap and access the exclusive watch faces and integration with the Nike+ Run Club. All six of the devices come in either 38mm or 42mm, but you'll be expected to pay £30 more if you want the larger device. With this deal essentially letting you pick up a new Apple Watch Series 3 for as low as £239, it's the perfect time to pull the trigger. However, make sure to still check around for a better deal. 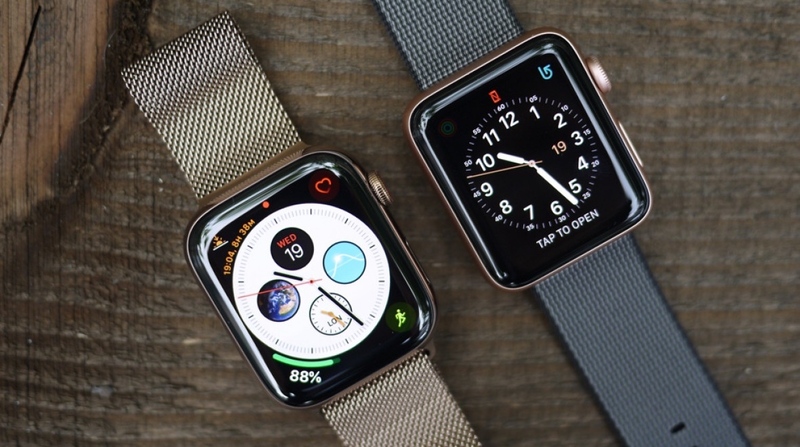 While Apple's saving lets you put money towards the likes of a second Apple Watch band or even the Apple AirPods, other retailers are offering the smartwatch with a bigger flat-out saving, and you also won't be locked in to spending your saving with them. Got any questions about the Apple Watch models on offer this Black Friday? Let us know in the comments section below.